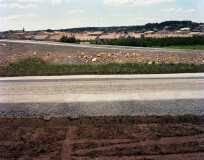 Im Jahr 1975 setzte die Ausstellung New Topographics – Photographs of a Man-altered Landscape im George Eastman House in Rochester (USA) neue Impulse für die zeitgenössische Fotografie. Mit dem Stichwort des Topografischen charakterisierte Kurator William Jenkins die sachlich-neutrale, distanzierte Herangehensweise der von ihm ausgewählten Fotografen als deren übergeordnete Stilistik, in der die Fotografen mit einem architektonisch-urbanen Interesse die sich verschärfende Dichotomie von „Natur“ und „Kultur“ in den amerikanischen Vororten thematisierten. Eine umweltbezogene oder gar umweltkritische Sichtweise war in der New Topographics-Ausstellung jedoch nicht zentrales Thema, obwohl die Arbeiten der New Topographis auch im Kontext des allgemein aufkommenden Umweltschutzbewusstseins der 1970er Jahre stehen. So inspirierte dieses Bewusstsein die Ausrichtung späterer Werke, wie Lewis Baltzs San Quentin Point von 1982, aber auch John Gossages The Pond von 1985 (Gossage war nicht in Jenkins’ Show vertreten). Heute wird den New Topographics ein starker Einfluss auf die internationale Kunstfotografie nach 1975 zugesprochen, die Ausstellung oft sogar im Sinne einer Bewegung verstanden. Zeitgleich oder zumindest zeitnah lässt sich in vielen westlichen Ländern ein Aufblühen fotografischer Darstellungsweisen von Kultur und Landschaft beobachten, die dem Stichwort des „Topographischen“ als vermeintlich neutrale Inventur der Landschaft nahe stehen. Insbesondere für das französische Programm der Mission photographique de la DATAR, mit der eine französische Planungsbehörde von 1984 bis 1988 neunundzwanzig Fotografen mit künstlerischen Interpretationen des Strukturwandels des ländlichen Frankreichs beauftragte, aber auch auf die holländische Landschaftsfotografie der 1990er Jahre, die oftmals aus staatlichen Aufträgen resultierte, sind die New Topographics als entscheidende Ideengeber anzusehen. Wie jedoch wirkte die New Topographics-Ausstellung als Katalysator eines transnationalen fotografischen Interesses an den Auswirkungen der menschengemachten Veränderung der Natur? Wie greift eine Vielzahl aktueller Arbeiten mit der Thematik des wastelands, des edge lands oder des terrain vagues auf die New Topographics zurück? Welche einheitlichen Merkmale lassen sich in den Bildsprachen der Länder ausmachen und welche nationalen Unterschiede und Besonderheiten lassen sich in „topographischen“ Landschaftsdarstellungen aus den USA, Frankreich, Deutschland, England, Spanien, Dänemark und den Niederlanden erkennen? Das Braunschweiger Ausstellungsprojekt »Landschaft. Umwelt. Kultur. – Über den transnationalen Einfluss der New Topographics« untersucht den globalen Einfluss der New Topographics anhand von künstlerischen Positionen aus sechs Ländern. Das Ausstellungsprojekt nimmt eine vergleichende Gegenüberstellung von Fotografien vor und fragt hierbei nach inhaltlichen Gemeinsamkeiten, aber auch Differenzen in Ausrichtung und bildlicher Konzeption. Zudem präsentiert es zeitgenössische umweltkritische Darstellungen, die zwar Bezug auf die New Topographics nehmen, die aber nach vierzig Jahren intensiver fotografischer Bearbeitung und auch hinsichtlich der Zuspitzung des globalen Klimawandels im Zeitalter des Anthropozäns eine direktere ökologische Perspektive einnehmen. Im Rahmen der Ausstellung findet am Freitag, den 30.10.2015, das Symposium »From a „Topographic“ to an „Environmental“ Understanding of Space—Looking into the Past and into the Presence of the New Topographics Movement« statt. Weitere Informationen finden Sie hier. In 1975 the exhibition New Topographics – Photographs of a Man-altered Landscape in the George Eastman House in Rochester (USA) provided new impetus for contemporary photography. Using the keyword “topographic”, the curator William Jenkins characterized the objective-neutral, detached approach of the photographers whom he had selected as their overriding style in which the photographers – with an interest in urban architecture – made the increasing dichotomy of “nature” and “culture” in the American suburbs into the subject-matter of their focus. An environmental or even environmentally critical point of view was not in fact a central theme in the New Topographics Exhibition, although the works of the New Topographics are very much in the context of the everywhere emerging environmental consciousness of the 1970s. So this consciousness inspired the orientation of later works more directly, such as Lewis Baltz’s San Quentin Point from 1982, but also John Gossage’s The Pond from 1985 (Gossage was not represented in Jenkins’ show). Today the New Topographics is adjudged to have a greater influence on international art photography after 1975 and the exhibition is often even understood in the sense of a movement. At the same time, or soon afterwards, a blossoming of photographic ways of presentation of culture and landscape can be observed in many western countries which are close to the keyword of “topographic” as being a presumably neutral stocktaking of the landscape. 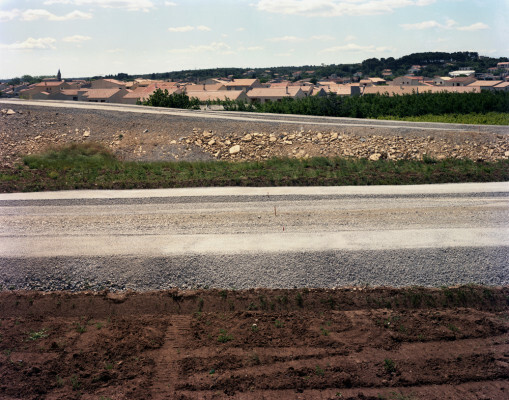 The New Topographics can be seen, in particular, as the crucial idea provider for the program of the Mission photographique de la DATAR with which a French planning authority from 1984 to 1988 had commissioned twenty-nine photographers to produce artistic interpretations of the structural transformation of rural France; the exhibition was also a source of ideas for the Dutch landscape photography of the 1990s which often resulted from state commissions. How, however, did the New Topographics Exhibition function as a catalyst for a transnational photographic interest in the effects of man-made changes to nature? In what way does a multitude of current works, with the themes of wastelands, edge lands or terrain vagues, hark back to the New Topographics? What common characteristics can be discerned in the imagery of the countries, and what national differences and special features can be recognized in “topographic” landscape depictions from the USA, France, Germany, England, Spain, Denmark and the Netherlands? 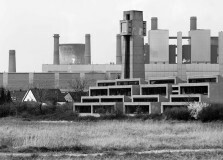 The Braunschweig exhibition project »Landschaft. Umwelt. Kultur. – On the New Topographics’ Transnational Impact« examines the global influence of the New Topographics through artistic perspectives from six countries. The exhibition project carries out a comparison of the photographs and in so doing asks about content similarities but also about differences in direction and visual conception. 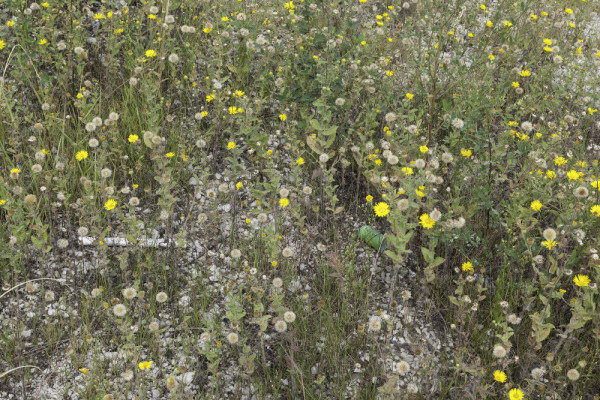 In addition, it presents contemporary environmentally critical representations, which in fact have reference to the New Topographics but, after forty years of intensive photographic treatment as well as in view of the intensification of the global climate change in the age of the Anthropocene, do adopt a more direct ecological perspective. In the context of the exhibition the symposium »From a „Topographic“ to an „Environmental“ Understanding of Space—Looking into the Past and into the Presence of the New Topographics Movement« will take place Friday, October 30, 2015. For more information please click here. In 1975 William Jenkins presented the exhibition New Topographics – Photographs of a Man-altered Landscape in the George Eastman House, which the American curator Peter Galassi characterized as one of the key exhibitions of the 20th century. With the focus of the exhibition on the processes of change in the urban peripheries, Jenkins first of all pursued an architectural-urban interest. At the same time the works of the photographers named by him as constituting the New Topographics, namely Robert Adams, Lewis Baltz, Bernd and Hilla Becher, Joe Deal, Frank Gohlke, Nicholas Nixon, John Schott, Stephen Shore und Henry Wessel, are associated with the emergent ecological awareness of the 1970s. Important later works of the photographers, like Lewis Baltz’s San Quentin Point from 1982, John Gossage’s The Pond from 1985 (not represented in Jenkins’s show) or Robert Adam’s Turning back (2005), added however a much stronger environmental and environmentally critical touch to the proposed urban development debate which had not been a central theme in the New Topographics Exhibition. Today the New Topographics is judged to have a strong influence on the photography of other countries and the Exhibition is often even understood in the sense of a movement. Parallel or roughly at the same time, a flourishing of photographic methods of presenting landscape and nature can also be observed which were close to the keyword “topographical” in the presumably neutral sense of landscape stocktaking. What common features, however, are there for “topographical” landscape representations in the USA, France, Germany, England, Spain, Denmark and the Netherlands and what national differences and characteristics can be detected? 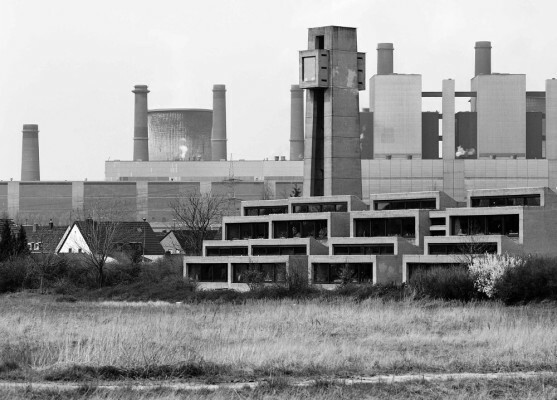 What was the impact of the New Topographics Exhibition as a catalyst of an immense photographic interest on the effects of the man-made destruction of the environment? How do many of the works with the subjects of wastelands, edge lands or terrain vagues relate to the New Topographics? 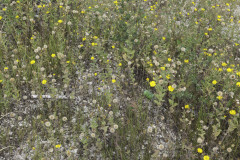 The symposium seeks to get to the bottom of not only the history of the reception of the exhibition and the orientation of transnational topographical landscape concepts in the age of the Anthropocene, but will discuss how under the influence of the New Topographics what has been characterized as “environmental photography” since the start of this century has developed internationally.